Our South Melbourne wedding photography and South Melbourne wedding videography teams had the pleasure of capturing Kira and Mark’s wedding at Luminare in South Melbourne. Our South Melbourne wedding photography team kick started the day with the Groom for the preparation shots, which was full of laughter and excitement. Our South Melbourne wedding photography team then headed off to the Bride for her preparation photography where we captured plenty of gorgeous candid and natural wedding photography, and some gorgeous artistic wedding photography with the Melbourne skyline in the backdrop. Our wedding ceremony was at Luminare in South Melbourne, where our South Melbourne wedding photography team captured the entire wedding ceremony. Our team then headed off to the location wedding photography shoot where the approach was natural and candid, with a few artistic wedding photography shots throughout. We created artistic wedding photography with off-camera lighting and also included a great mix of natural and candid wedding photography during twilight photography. 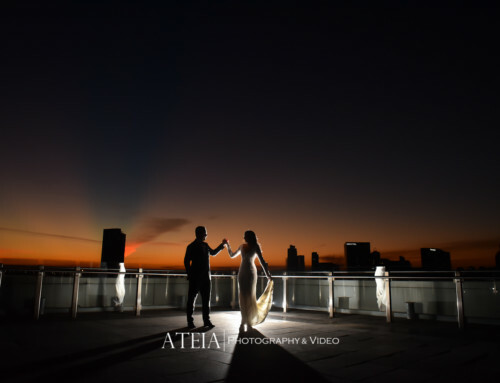 Thank you Kira and Mark for choosing ATEIA Photography & Video to capture your wedding photography – Your wedding was gorgeous!